My brother walked into the apartment one time and his shoes caught my eye. They were red (#Raisedeyebrow). I’d never seen him in red shoes before — and I’d never thought that any of us siblings would publicly wear something so… red. But they looked nice. Hey, I’m a mom. Red shoes to me = Dorothy in the Wizard of Oz. I didn’t get the brand name, it sort of “flew by me” (pun intended) when he said it, but he did say they were one of his favorite pairs and he loved wearing them. He also said he had another two pairs which he uses for Capoiera training. My brother is part of the local group that trains in this sport, where apparently also most of them wear these shoes for training or public demos. Kinda cool. I now know that the brand of rubber shoes he’s been wearing are the well-loved, fashionably forward Feiyues. And I only realized it when Jaycee Dee, the distributor of Feiyue in the Philippines invited the SoMoms over to their shop at Sekai center in Greenhills, and I saw my brother’s shoes on display. Red shoes! 🙂 The blue are cute too. I actually tried them on, thinking that maybe I’d get myself the same pair and surprise him with it (whether he’d be annoyed or not, that was part of the fun! heehee). The thing was, everyone in the store, quieted down when I asked for their opinion and tried to change the topic. So I took that as a sign and slowly put the nice pair of red shoes back. While the color may not have been for me, Feiyue actually is a brand for everyone. Pronounced as “Fêi-yué” (which literally means “Flying Forward”), it was first produced and worn in Shanghai in the 1920s by martial artists, athletes, and just about anyone who could walk. It’s very lightweight, comfortable, and easygoing. I should know, because I always have trouble finding really good shoes and I didn’t want to take these off. Fly forward into the 20th century, a group of French sneaker enthusiasts breathed new life into the brand. Since then, they’ve kept themselves updated with the latest trends in urban art, music and travel. They’re very risque (Is that the term? ), and expressive in their artistic culture. They’re not afraid to try experiment in other media too. These are incorporated in some shape or form of it into the design of the shoes. No wonder my brother has three of them. 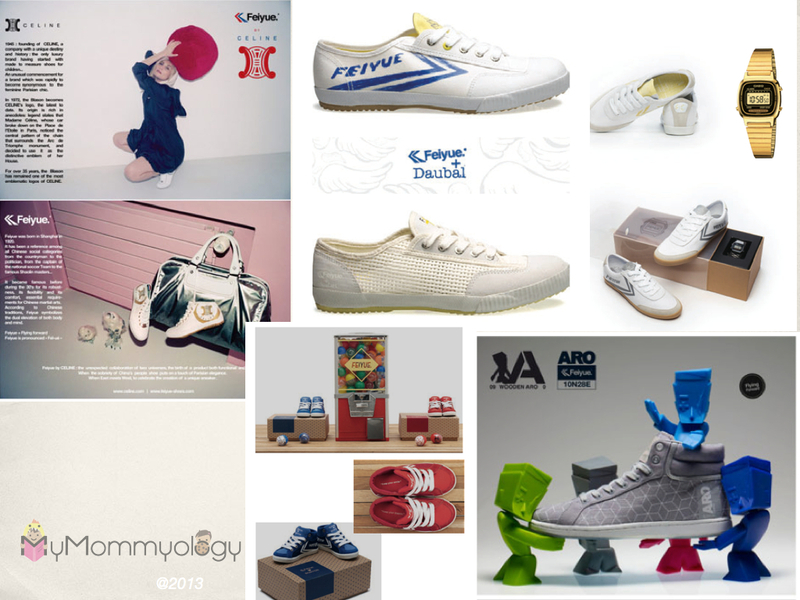 These are just some of the many collaborations Feiyue has done over the years. Part of the New Collection to hit stores soon! 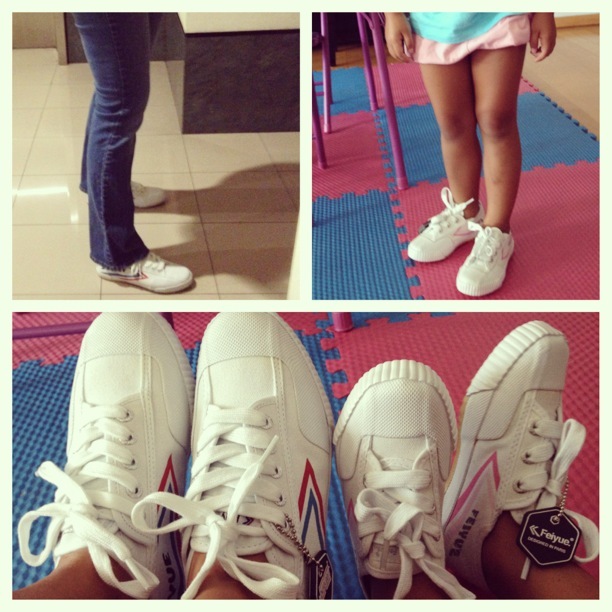 Thank you Feiyue Philippines for having the SoMoms and Sokids over to shoe-shop (indeed a favorite pastime). 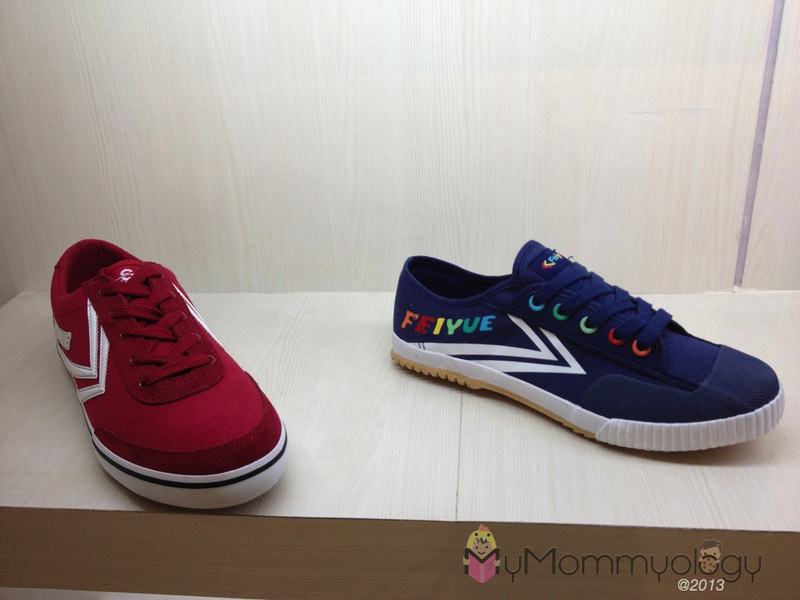 Apart from the Sekai building in Greenhills, Feiyue is available on Zalora and also in the Rustan’s Department stores. 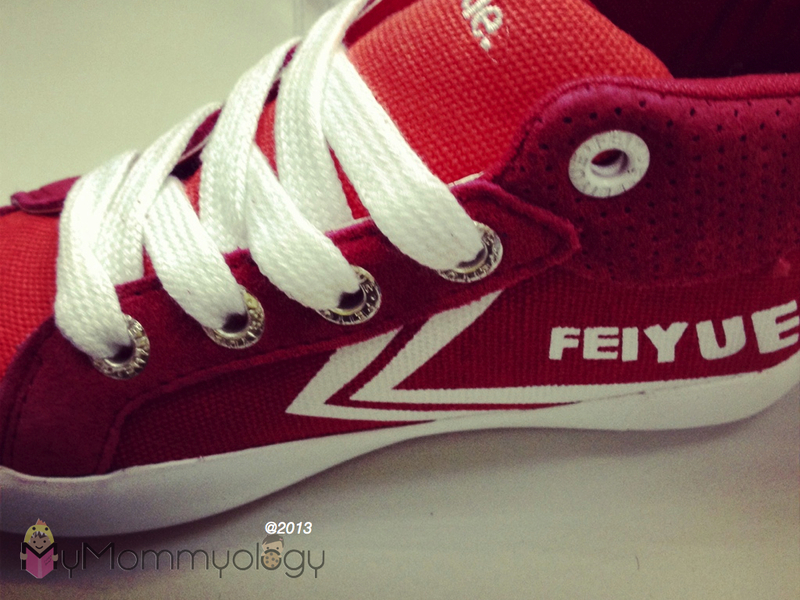 Follow Feiyue Philippines on Facebook, Twitter and Instagram to get the latest updates and styles!